Junior Canadian Rangers from Bearskin Lake and Fort Severn with Canadian Rangers during training near Wapekeka. 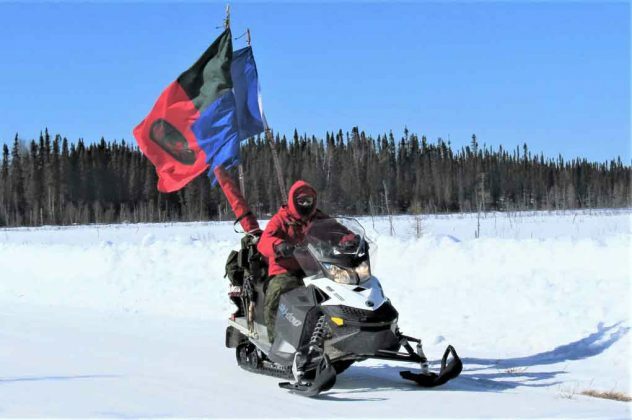 KASHECHEWAN – Canadian Rangers are completing a series of training exercises across the Far North of Ontario. 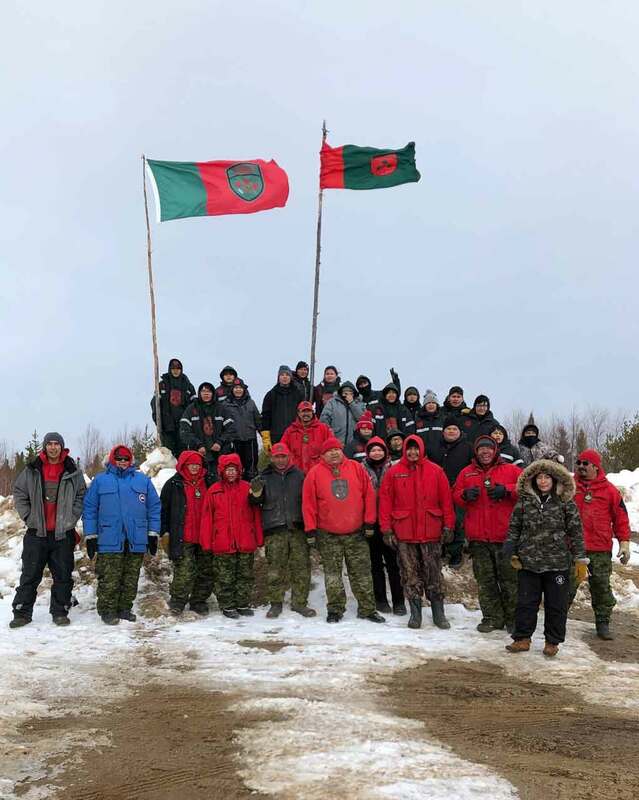 The five regional exercises involve more than 100 Rangers from 22 First Nations and are being conducted in eight locations. Ranger Quinton Anishinabie leads a territorial surveillance patrol while flying Canadian Ranger and Sandy Lake First Nation flags on his snowmobile. 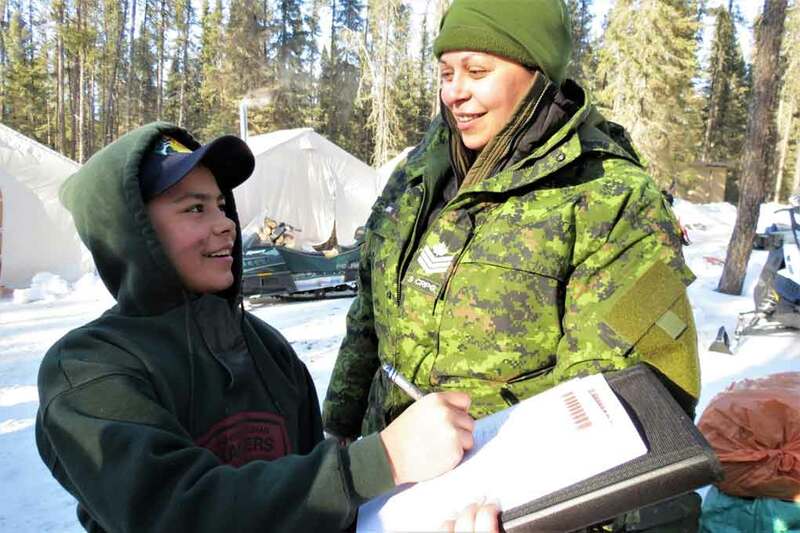 Junior Canadian Ranger Jayvan Ross of Muskat Dam signs an attendance sheet for Sergeant Eva Clarke, an army instructor. 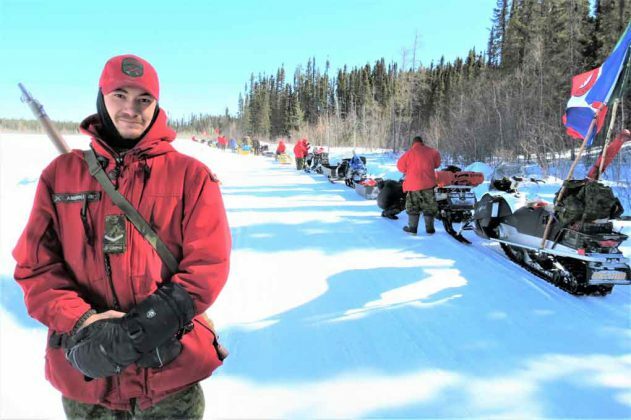 Ranger Quinton Anishinabie of Sandy Lake became a patrol commander for a day as part of the training near Muskrat Dam. In addition, the exercises provide the Rangers, who are part-time army reservists, with training in ice rescue and how to build emergency shelters. Junior Canadian Rangers (JCRs) from three communities were included in two of the exercises. They learned camp routine, emergency shelter building, chain saw safety and fishing with nets under ice and through holes cut in the ice. “It was great to see JCRs learning and having fun,” said Warrant Officer Nicholas Luhtanen, an army instructor. The Junior Rangers is a culturally appropriate army program for boys and girls aged 12 to 18. There are more than 1,000 Junior Rangers in Northern Ontario. The training exercises allow Rangers from different communities to train together and learn from each other. They also allow less experienced Rangers to practice their leadership skills. “It allows them to take a position of command, organize a patrol, and lead it in the field,” Major Ohlke said. 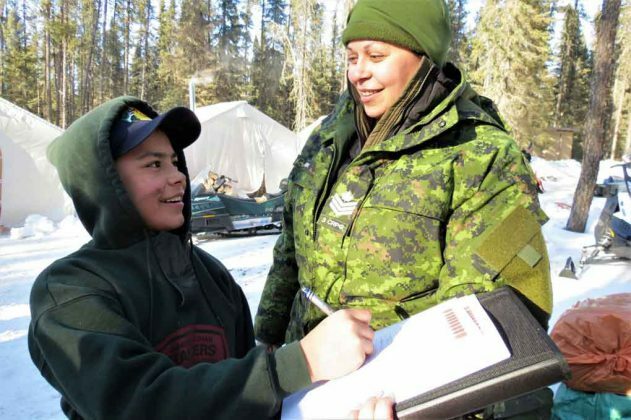 One Ranger who became a patrol commander for a day was Ranger Quinton Anishinabie, a 21-year-old from Sandy Lake, who was part of a group of Rangers from four First Nations who trained near Muskrat Dam. The Rangers in the group were from Muskrat Dam, North Caribou Lake, Sachigo Lake, and Sandy Lake. 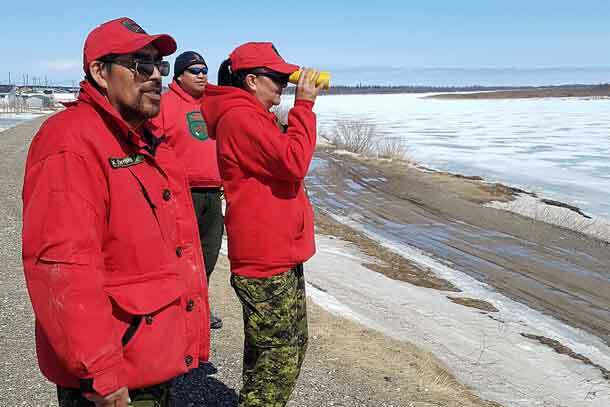 Ranger Anishinabie, a former Junior Ranger, was tasked with organizing and commanding a 20-member surveillance patrol to Maguss Lake, 50 kilometres from Muskrat Dam. Commanding the patrol was the second of two major experiences during his two years as a Ranger. 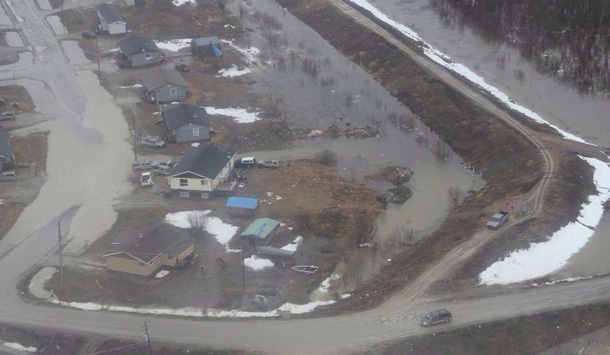 In the spring of 2018, he flew 800 kilometres with other Rangers from Sandy Lake to assist Rangers from three other First Nations when the ice-jammed Albany River threatened to overflow and flood the remote Cree community of Kashechewan. 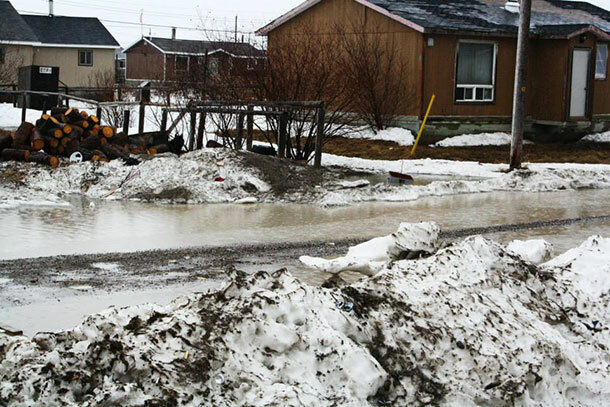 The Rangers helped evacuate 1,700 of Kashechewan’s residents on military and civilian aircraft.